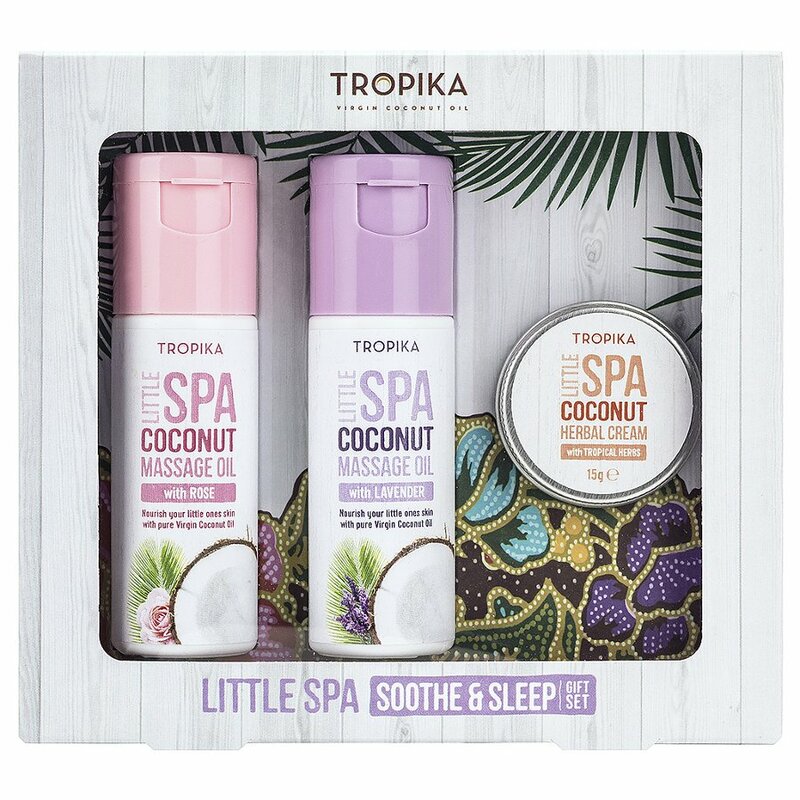 Perfect for a baby shower, this Tropika Little Spa Minis Gift Set lets the mother-to-be give her little one a calming massage before bed-time. The set includes 2 different oils that both provide great aromatherapy while they comfortably nourish and moisturise skin. This is a great way to bond with your child at an early age while also helping them sleep properly. The set also comes with a cream with a delightful tropical herb scent which helps to soothe if aby has a dry cough or trouble with congestion. 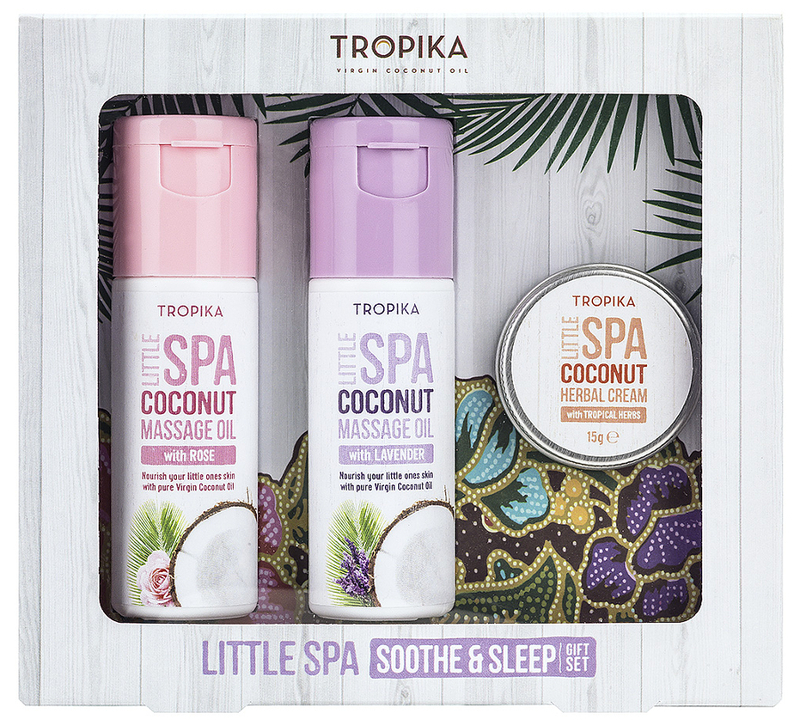 There are currently no questions to display about Tropika Little Spa Minis Gift Set.